!!!! SEQUESTRATION WAS IMPLEMENTED ON MARCH 1!!!! The U.S Military, will be cancelling all participants at air shows and all AFB’S as of April 1. That means just what it states: there will be no U.S. Military aircraft teams or other aircraft participating at air shows worldwide!!! 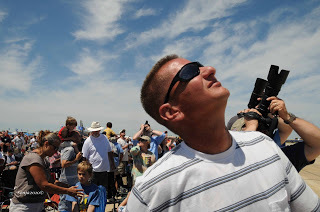 No Thunderbirds, Blue Angels, Demo Teams, or any ANG aircraft, no fly-by, NOTHING! The above statement is on the Blue Angels website. Other than the media accounts, I could not find the White House notice of cancelled White House Tours. 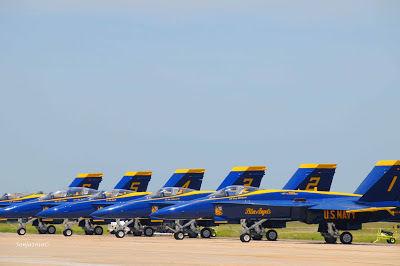 WOAI radio in San Antonio, Texas announced that the schedule for the Thunderbirds air show had been cancelled at Randolph AFB due to sequestration. Then I heard that the Obamas were cancelling all White House tours also because of sequestration. For some reason this really hit a nerve. Obama gets to travel and spend millions on his ‘vacations’ and the rest of us who enjoy going to see air shows with our families during the summer won’t be able to because of sequestration, so he claims. 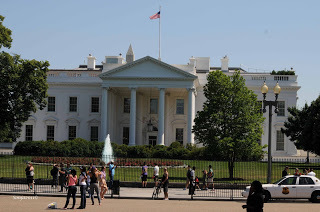 I sure hope that many of you have had the privilege to tour the White House because it is the ‘People’s House’. 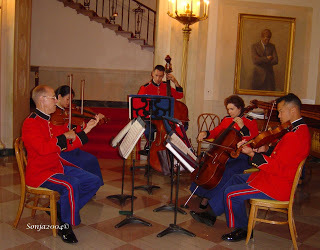 Taking photographs are not permitted in the White House, but when I went as an invited artist, during GW Bush’s term, I was permitted to photograph the inside. Even Michelle Obama understands this very simple concept. Blaming this situation to sequestration is ridiculous. What Obama is doing is throwing a tamper tantrum or if he is not, he is taking this opportunity to crush our American traditions. 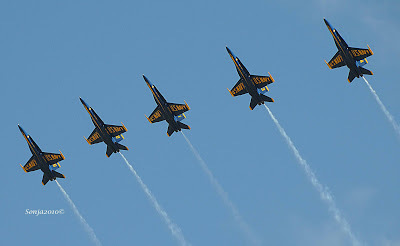 What better way than to eliminate a source of pride, the Blue Angels and Thunderbirds. These teams travel the world exhibiting our might in the air. The air shows are used to recruit and inspire. Yes, they probably do cost, but there are so many other areas where money can be saved, and it should not be messing with our traditions. We like to feel proud to be an American. We like to see our Navy and AF pilots flying planes into formation and doing next to impossible stunts high up in the air. Our children and grandchildren may never have an opportunity to witness an air show or visit the White House. I fear that the America I have lived in is vanishing. As Americans, we take so much for granted. Growing up in San Antonio I attended countless air shows at Kelly AFB and now the reality is that our children and grandchildren may never witness an air show. How sad for America that our traditions are fading away, and in the next four years, America may vanish altogether. The Air Combat Command claims that the money saved from the air shows will be used for ‘combat readiness training’. Sorties which usually have a mission will meet the challenges of peacetime air sovereignty and wartime air defense. That sounds scary to me. What is the Obama administration really up to? The last air show I attended was with Bill and my son and his children at Andrews AFB in 2010 with the Blue Angels flying. I am sharing these photographs so we can all remember when America was America.